I'm not going to bore you with how much I love the Foo Fighters' music but just in case you were wondering: Everlong is a song by the Foo Fighters that I have been listening to a lot lately. So this cross stitch started there. 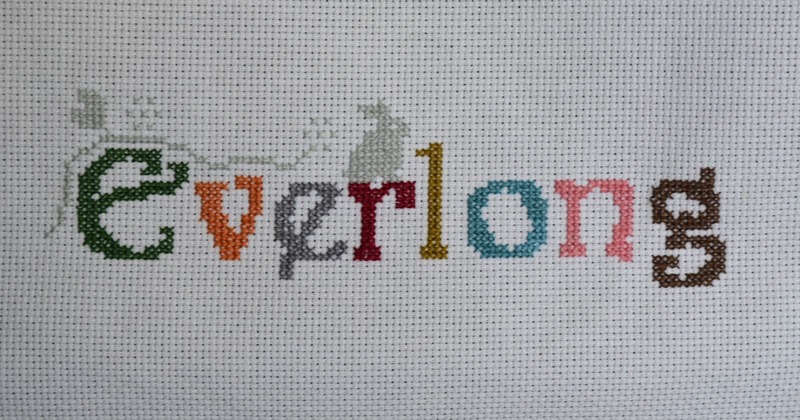 I made the lettering in a cross stitch design program (a free trial version, I'm still in doubt whether to buy cross stitch design software) After stitching the first letter (the 'l', I started in the middle) I thought it would be fun to stitch each letter in a different favourite colour. When I finished stitching the colourful lettering I decided to add some cute elements. Bunnies and Ivy aren't very Rock and Roll I guess but they look all right in this design :) I found the bunny in Alicia Paulson's Embroidery Companion and the Ivy/flowery thing is an adapted version from a design in A Rainbow of Stitches. I want to add a flying bird on the right side so if anyone has suggestions where I can find one, let me know! 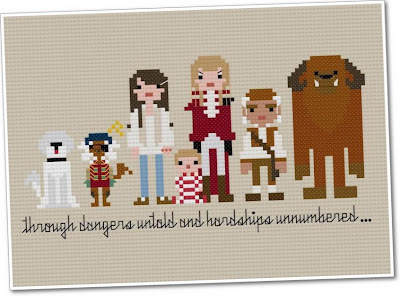 Speaking of favourite things and cross stitch: I found this great Labyrinth pattern at Weelittlestitches. Surely a must for every cross stitching Labyrinth fan! And because there was a 20% discount on buying two or more patterns (sale ends 8th of September) I also bought the Breakfast Club pattern. Weelittlestitches has a large selection of slightly geeky/nerdy patterns including LOTR, IT crowd, Star Trek etc The patterns were sent very quickly with detailed instructions. Later this week I will be back with my finished cloud embroidery. Have you started yours already? Find the pattern and the tutorial here! Oh my goodness, I love their patterns! Thank you so much for this post. I want to let you know that I posted a link to your blog in Creative Busy Bee Craft Inspirations, under the Page 1 post on Sep. 03, 2012. Thanks again. 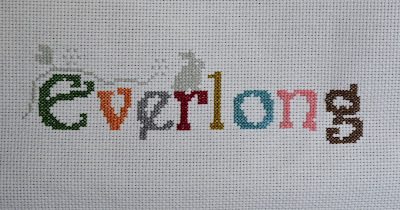 I really like your Everlong. (I did have to ask my husband what Foo Fighters was, LOL) I love the colors you used. I'm going to go check out the song and the other links you posted.